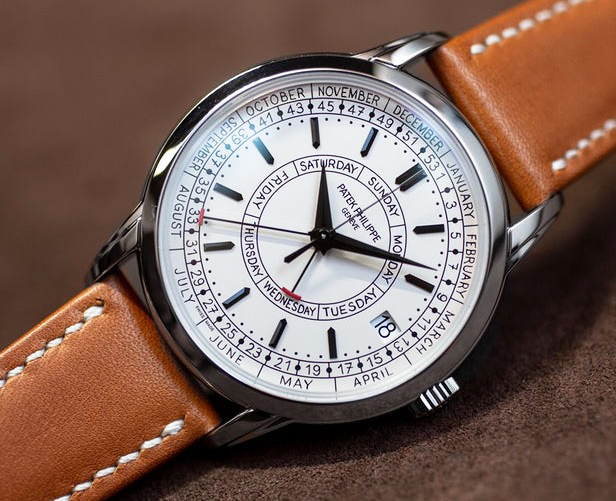 At Baselworld 2019 we got to see Patek Philippe showcase a new calendar display on their vintage inspired “Patek Philippe Calatrava Weekly Calendar”. 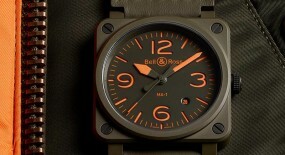 Also enclosed in this 1950’s style case is a newly developed in-house mechanical movement. 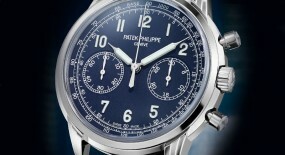 Patek Philippe has been a main contributor to the development and evolution of calendar watches. 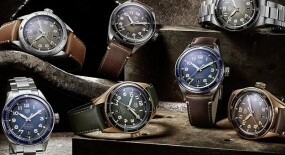 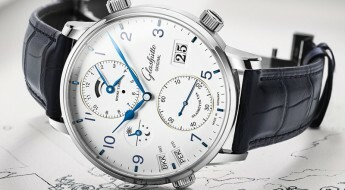 The annual calendar is even one of the brand’s signature complications. 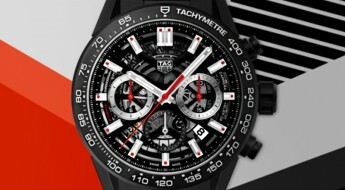 But, as true innovators they are back once again with their most unusual calendar complication yet. 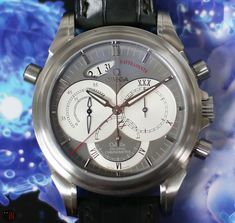 As for the cases styling it has been inspired by the one-of-a-kind reference 2512/1 model, circa 1955, sold by Sotheby’s for almost a million dollars! 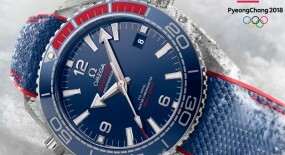 As a homage to this original timepiece the new model has been given an anagram reference number based on “2512”. 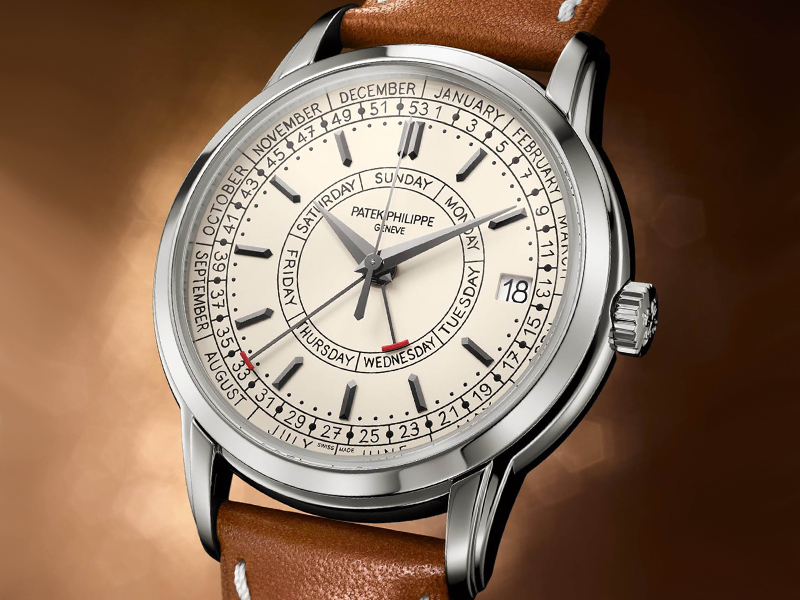 One-of-a-kind Patek Philippe (Ref#: 2512/1), circa 1955, sold by Sotheby’s. 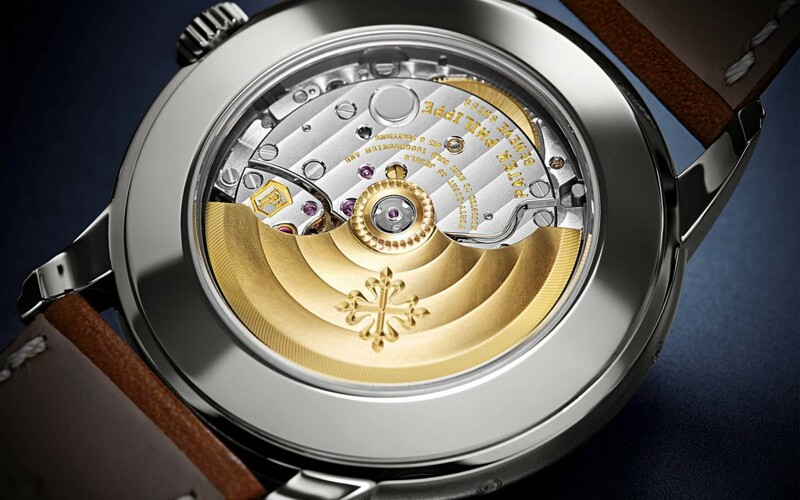 The 40mm case is made of stainless-steel with a sapphire-crystal exhibition case, which allows to view the inner workings of the mechanical movement. 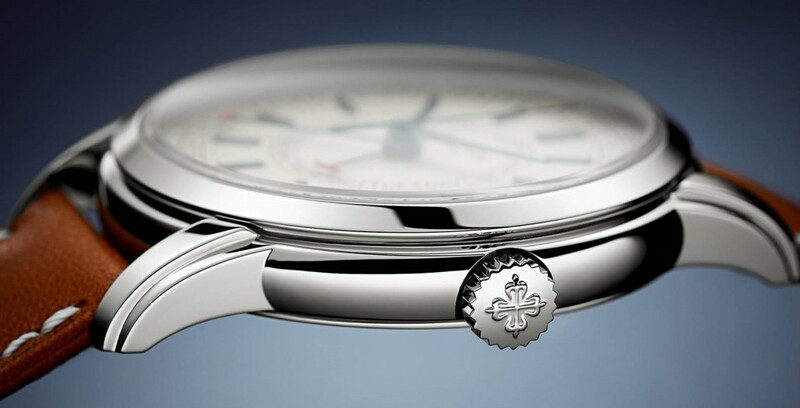 It comes equipped with a setting-crown embossed with the iconic Calatrava cross. 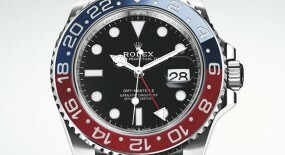 It also features protruding double-stepped lugs that provide a very comfortable wrist fit. 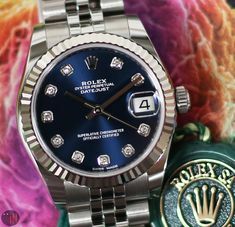 All topped by a sapphire crystal that also assists with water-resistance on this watch being able to reach up to 30 meters (98 feet). 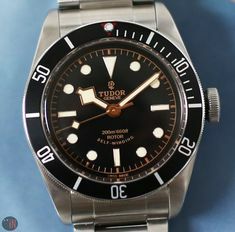 Time is exhibited on a silvery opaline dial with blackened gold applied hour index markers, followed by a ring of small black dotted minute index markers. 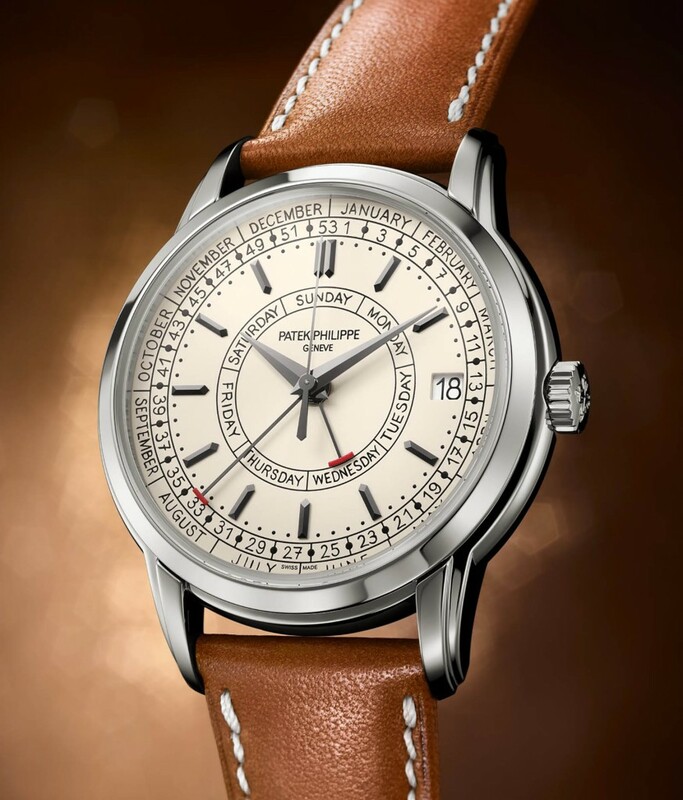 Patek Philippe has also adorned this timepiece with exclusive letters and numerals that have authentically reproduced handwritten characters. 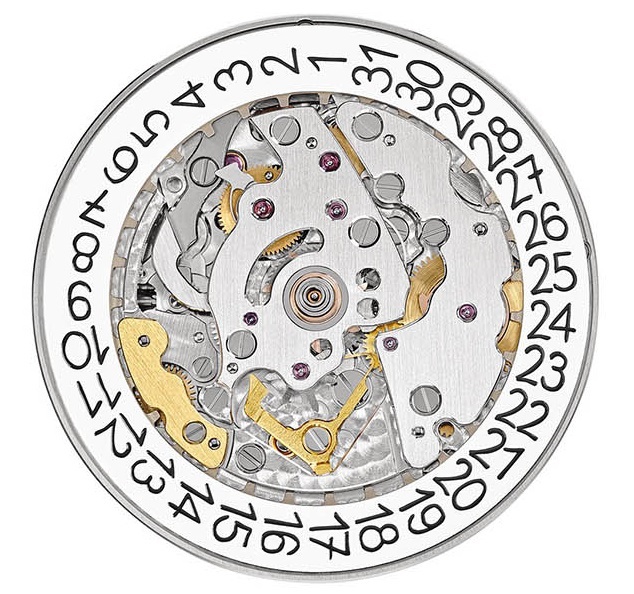 As the dial stretches out there are two extra rings: one that counts down the 53 weeks in a year (although regularly a year is made up of 52 weeks and a day); plus a ring with the twelve months of the year. 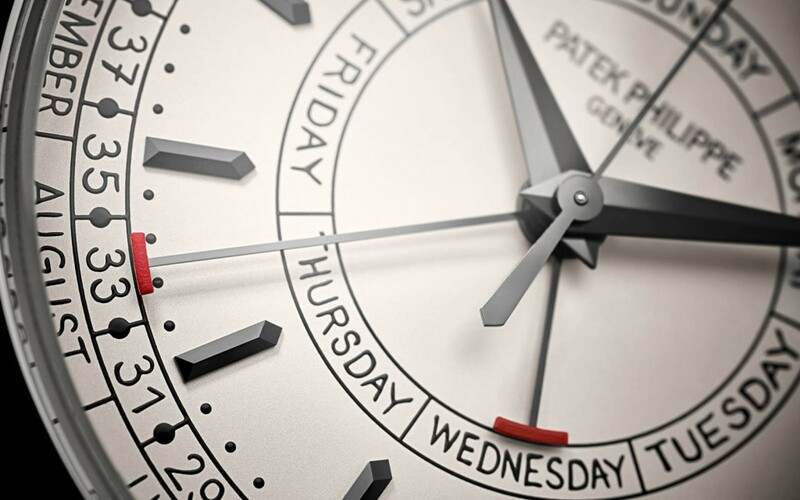 There is also an inner center ring to indicate the days of the week. 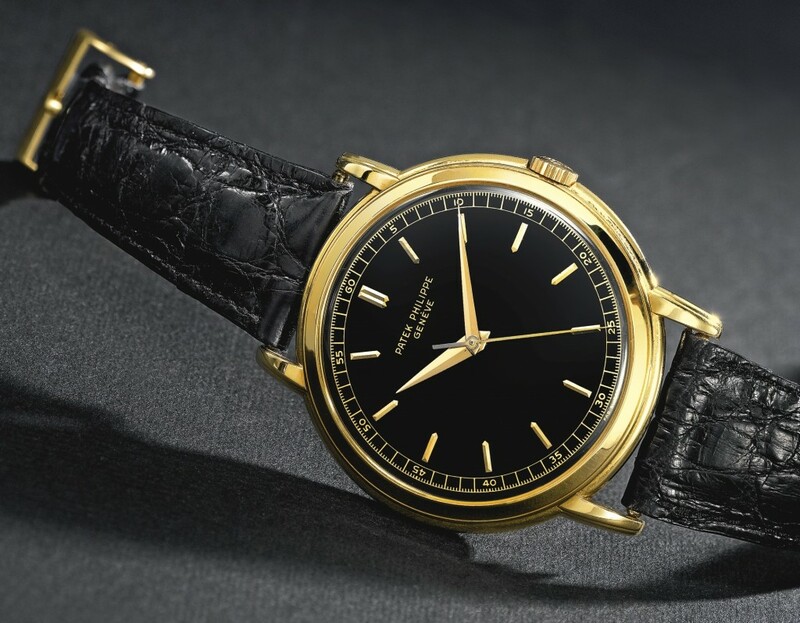 The central hours, minutes, sweep-seconds and day/date hands have all been crafted out of blackened gold. 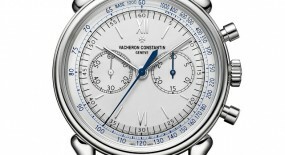 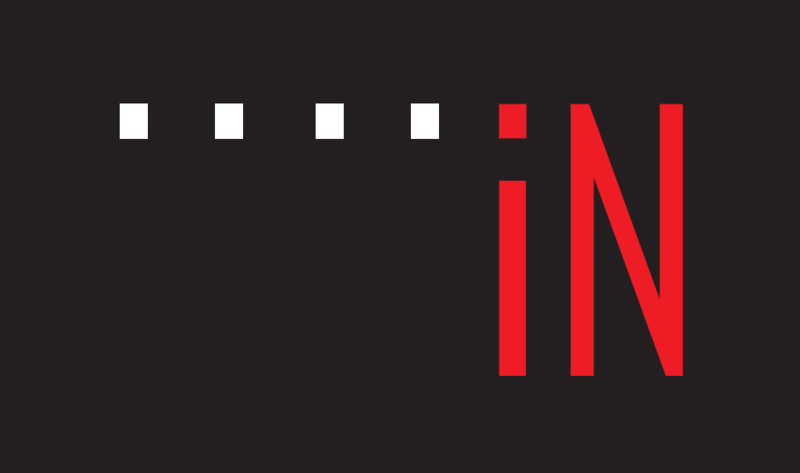 The day/date hands have also been given red tips for an enhanced legibility. 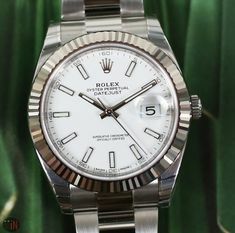 There is a white date aperture at the 3 o’clock position, framing numerals with the aforementioned handwritten font style. 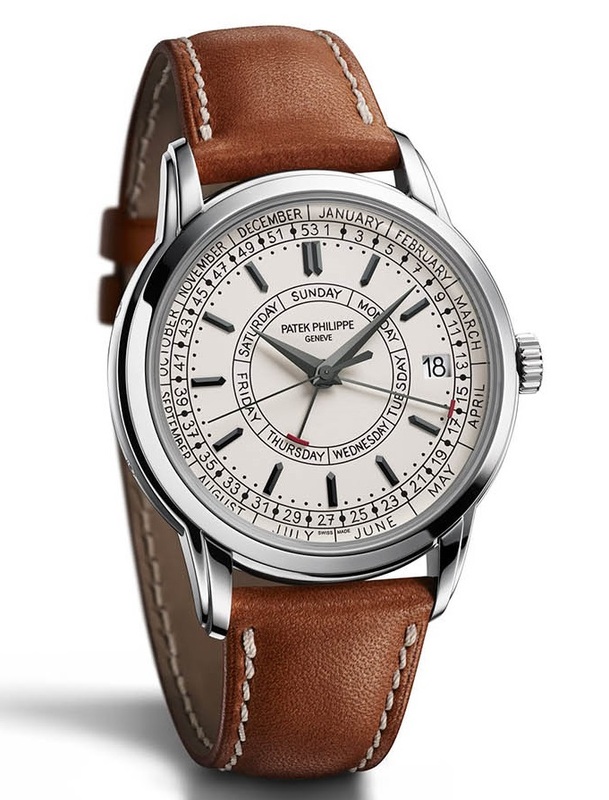 The “Patek Philippe Calatrava Weekly Calendar” (Ref#: 5212A) is powered by the self-winding mechanical movement, caliber 26-330 with 50 jewels and 28,800 vph. 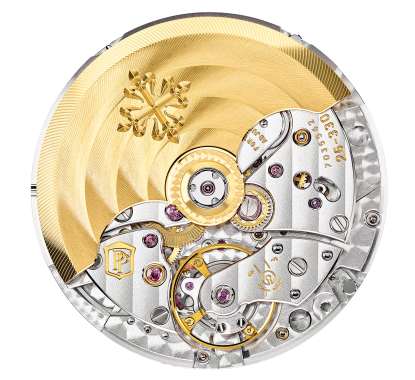 It comes equipped with a central rotor in 21k gold, a Gyromax® balance and a Spiromax® balance spring. 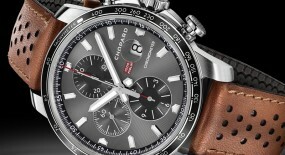 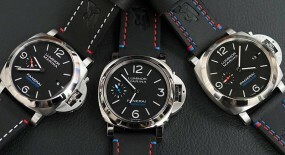 Power reserve on this watch can last up to 45 hours, when fully wound. 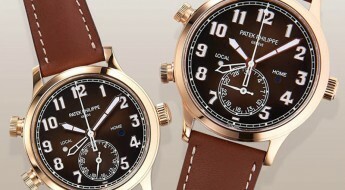 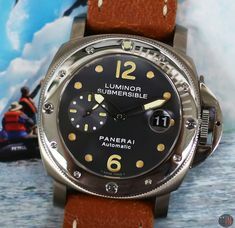 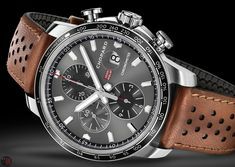 Mounted to the watch is a brown hand-stitched calfskin strap with exposed white stitching, while secured to the wrist by a steel prong buckle. 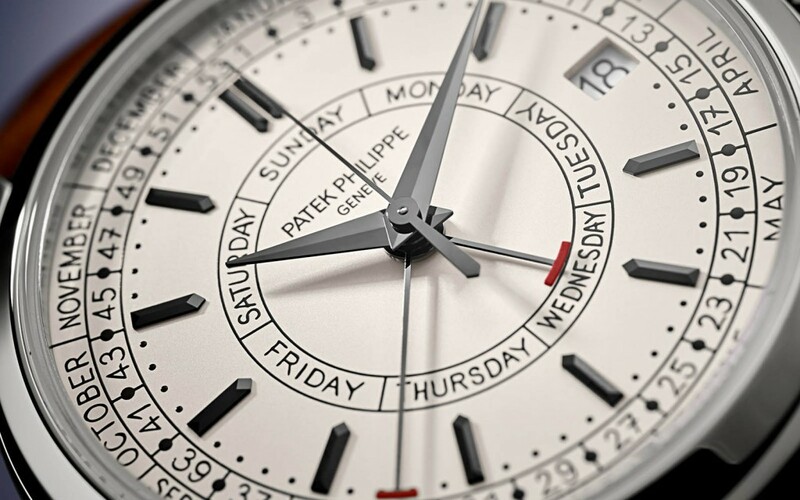 For more up to date information visit the official Patek Philippe website here.